Children from three schools gathered the names to urge the Minister to solve the problem. SECONDARY STUDENTS FROM a number of schools are to hand Housing Minister Simon Coveney a petition of 10,000 signatures calling for action on the homeless crisis. The students from three schools in Waterford and east Cork have compiled the list of names to register their concern about the escalating numbers of people throughout the country who are homeless or at risk of homelessness. On the first day back after their Christmas holidays, students from Ard Scoil na Mara in Tramore, CBS Midleton and Edmund Rice College Carrigaline, said that their resolution for 2017 was to keep homelessness in the public eye so that “the government has pressure put on it to continue to do everything it can to make homelessness history”. The students’ campaign grew out of the focus in Edmund Rice schools on students knowing and learning more about social justice issues. The students were particularly worried when the number of homeless children climbed above 2,400 in the autumn. They are also aware that students in each of their schools are living in families at risk of losing their homes. 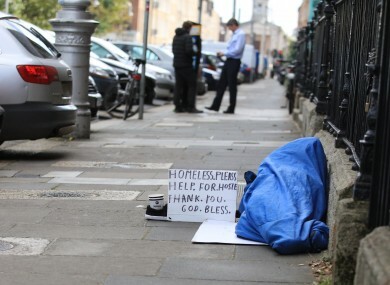 “One of the things we are trying to raise awareness about is the reality that homelessness is present in all communities throughout the country,” said Mark Hartery, a 16-year-old fifth year student at Ard Scoil na Mara and one of the initiators of the campaign. “It is something that is affecting families within our own communities, and in towns way beyond the larger cities,” he added. We want to be, and believe we can be, the first generation that ends homelessness in Ireland. We don’t want to grow up in an Ireland that can’t provide homes for people. That is not the Ireland that represents us. We are delighted to be able to meet with Minister Coveney to tell him what the next generation of voters hopes for. Email “Students to hand petition of 10,000 signatures to Simon Coveney over homeless crisis”. Feedback on “Students to hand petition of 10,000 signatures to Simon Coveney over homeless crisis”.